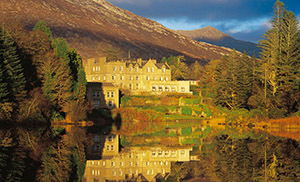 At a spectacular value, our “Deluxe Castle & Boutique Escape” offers a collection of unique luxury boutique hotels and castles throughout Ireland. 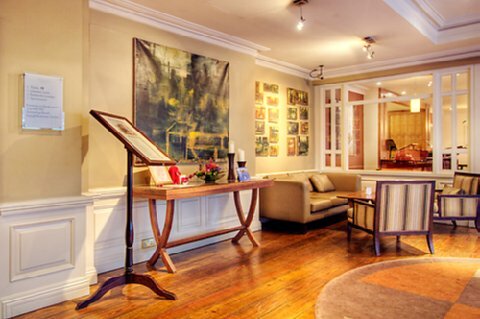 If you have a week or more to get away from it all and want to relax in true elegance and hospitality, look no further. Adding to the elegance and grandeur of your itinerary is the opportunity to indulge in outdoor pursuits, meet the friendly locals and enjoy a pub session or two with traditional music and a bit of local craic! The East coast of Ireland is home to Dublin City, Ireland’s very vibrant and exciting capital city. Dublin City – visit the popular Guinness Storehouse, take an open top city tour bus to learn the history and meet the witty locals of this famous city. Visit historic Trinity College, home to the famous Book of Kells. If you like to shop during your city break in Dublin, Grafton Street is perfect where lively street entertainers add to the atmosphere. Did we mention the market in Speakers Square! The South of Ireland is incredibly scenic and picturesque and home to many of Irelands most popular tourist destinations. The Cork and Kerry regions of Ireland are perfect for holidays in Ireland with so much exquisite scenery to take in as well as many vibrant and colourful towns. Ring of Kerry and Lakes of Killarney – a place of spectacular beauty this mystical and unspoiled region of Ireland has been attracting visitors for centuries and remains a ‘must-visit destination’ on many tourist itineraries as is the Dingle Peninsula – National Geographic once referred to the Dingle Peninsula as ‘the most beautiful place on earth’. Did we mention legendary pubs and traditional music! 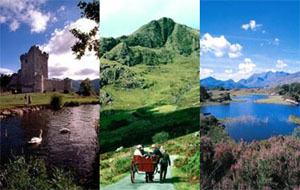 Connemara is a stunning scenic region just west of Galway City. Galway City always proves an ever popular spot with tourists where you can enjoy the Celtic spirit. Galway is always alive with activity and full of fun. Visit Aran Islands, Discover the magic of Inis Mor, Inis Meain and Inis Oirr Islands which are steeped in history and culture. The Cliffs of Moher in County Clare is on the list of the most popular destinations to visit in Ireland, they stretch for 8 km and reach heights of up to 700 feet above the Atlantic Ocean. The West of Ireland is wild, rugged and beautiful. With the Atlantic Ocean washing its shores you will find dramatic coastline and some of Irelands loveliest beaches. Did we mention the Irish rainbows! Ireland at a Glimpse, essential pocket guide, includes vouchers for reduced admissions and shopping coupons, save up to $600!! From $1,195 per person sharing. Call for single room supplement or automatic car. Airfare is not included but can be booked with us at competitive rates – just let us know your preferred dates and U.S. Departure airport. Upgrade to the services of a Professional Driver/Guide with luxury transport. Highly recommended for Families & Small Groups. 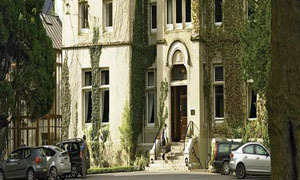 To make the most of your trip, why not extend your stay by adding one or two additional locations. Jump into Ireland! Add-on offers are available for Derry, Donegal, Limerick, Cork & Kilkenny. 2-Nights Derry – See Giants’ Causeway, Bushmills the oldest distillery in the world, and Titanic Belfast. 2-Nights Donegal – See tallest sea cliffs in Europe, shop for Donegal Tweeds, Visit the historic city of Belfast. 2-Nights Limerick – King John’s Castle, Hunt Museum, St. Mary’s Cathedral (Great for Shannon Arrivals or Departures). 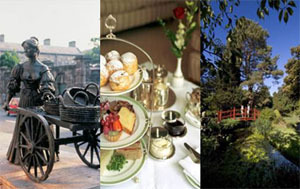 2-Nights Cork – English Market, Cork University, Blarney Castle, Kinsale & West Cork. 2-Nights Kilkenny – Medieval City of Kilkenny & Kilkenny Castle, House of Waterford Crystal, Historic ruins at Kells and the spectacular Rock of Cashel. 2-night Extension Pricing: From ONLY $249!! Derry, Donegal, Limerick, Cork, or Kilkenny. 2-night extension includes accommodations, breakfasts & rental car as above.